- Hot-Start (0-130A) to Start the Welding Arc Smoothly. - VRD Function-- Safe for Welders. - Remote Control function Optional. - Dust-free cooling system with upgraded duty cycle. - Equipment consist of DC power source: 300 Amps, 400 Amps, 600 Amps. Being a remarkable business firm, we are exquisitely involved in offering to our patrons a top class Arc Welding Machine. With the active support of our team of experts, we are engaged in offering a huge gamut of AC Arc Welding Machine. 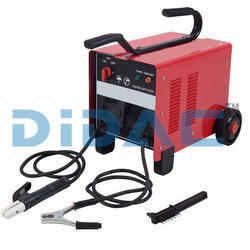 We offer this premier quality AC Arc Welding Machine as per the diverse requirements of various industries. 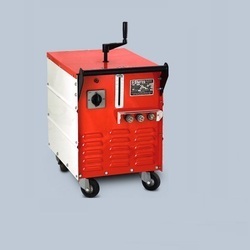 Taking into account the ever changing needs of our international clients, we offer this high grade AC Arc Welding Machine with innovative features and higher efficiency. We have all type of welding machines, Arc Weldig Machine, MIG welding Machine, Tig Welding Machine, Stud Welding Machine, Automatic welding machines etc.. Backed by the diligent team of professionals, we are highly respected for offering ARC Welding Machine. They are available at market leading rates.